A list of 10 novels that everyone should read that no one ever really talks about. Memoirs of Hadrian, Marguerite Yourcenar. “I begin to discern the profile of my death.” So, certain extremely well-read people of my acquaintance (e.g., James) knew about Yourcenar, but I had never before heard a professor or fellow English major mention this French woman’s absolute genius. 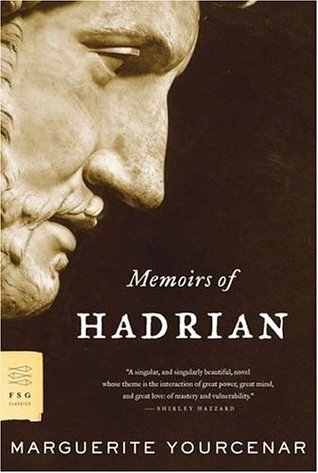 Her convincing embodiment of the Emperor Hadrian and her breathtakingly beautiful prose make this novel an essential member of the Western canon. The Sheltering Sky, Paul Bowles. Everyone should read Paul Bowles. Everyone! He’s like a darker, deeper, richer Hemingway, and this is a novel that will get into your head and refuse to get out. It’s unbearably creepy and wonderful. The Man Who Loved Children, Christina Stead. Jonathan Franzen, whom I love, despite the fact that most people don’t, has always mentioned this novel as one of his favorites, so I felt that I had to read it. This novel also appears on Francine Prose’s list of Books to Be Read Immediately. Stead, an Australian, wrote this strange and utterly engrossing novel about a large, savagely dysfunctional family in the 1940s, and it has unfairly faded into obscurity. Also ought to be read. 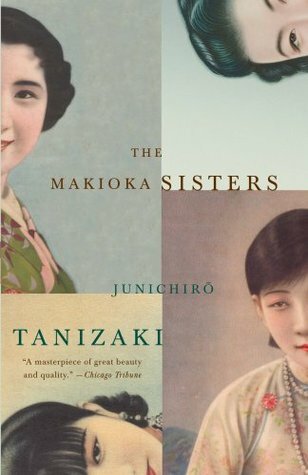 The Makioka Sisters, Junichiro Tanizaki. I had the pleasure of reading this large novel while in Tokyo, and I fell in love with it. Tanizaki could resemble a Japanese Tolstoy, and there are moments of humanity, depth, and insight in this novel that aren’t to be missed. Appointment in Samarra, John O’Hara. When I was a teenager and beginning my foray in to “real” literature, my neighbor Dave, a gifted writer and author, told me I should read Appointment in Samarra and lent me his copy. I was suspicious, having never heard of it before, but this book blew me away, particularly because I’d never heard anyone else mention it before. It’s a forgotten American tragedy that deserves to be read. Moral of the story? Trust your talented neighbor’s recommendations. I, Claudius, Robert Graves. Reminiscent of Memoirs of Hadrian, this is another beautifully written book from the perspective of a Roman hero. Cousin Bette, Honore de Balzac. I adore Balzac! More people should adore Balzac! He’s certainly not forgotten, but perhaps his fame has faded? Unfairly so. No one writes about money and what it does to people like Balzac. Also loved Eugenie Grandet and Pere Goriot. Resurrection, Leo Tolstoy. 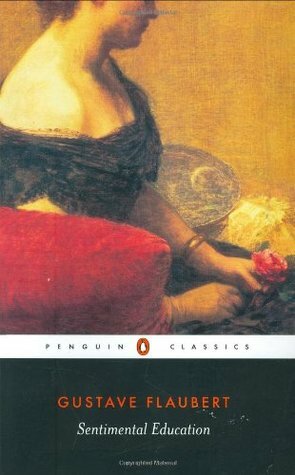 Anna Karenina and War and Peace are, deservedly, on everyone’s lists of greatest novels, so much so that Tolstoy’s other brilliant books are easily ignored. Like Resurrection. I mean, whoa. Naturally, this book is mind-blowing, because it’s Tolstoy. This was his last major novel, and it includes remarkable reflections on justice, social mores, and redemption. A Sentimental Education, Gustave Flaubert. Easily overshadowed by the masterpiece Madame Bovary, this novel is great in its own right and also should not be ignored. A classic bildungsroman! What neglected masterpieces would you add to the list?